This article on how to set up Instagram for business is for those who are thinking of signing up but don’t know how, and where to start. This is NOT for those who are already on Instagram. I heard about Instagram when it launched on October 6, 2010. It has grown by leaps and bounds since. Today, it is considered to be”the fastest growing social network among marketers worldwide.” For the first time last year, according to Pew Research, more than half (53%) of internet-using adults between the age of 18-29 use Instagram. Not only that, about half of them use it daily. The data would answer a question that many businesses have, “Should I set up an account on Instagram for business? Is it the best tool for us?” Logic would tell that you go where your clients are, wouldn’t you? Ya know, you “go fishing where…,” you get the point, right? 70% of Instagram users are located outside the U.S.
Companies are starting to see its potential as a marketing platform for their products and services. If your niche market is the millennials but you haven’t set up the account on yet. It is not too late to join. You can start now. How do you set up a business profile on Instagram? what is in it for your business. Also, I included some tips that I have learned along the way. Before you proceed, note that this is long. In fact, this is the longest article I’ve ever written. My advice for you is to save or bookmark this for reference. Import profile photo from Facebook. Import profile photo from Twitter. Take your picture, a.k.a., selfie. Choose photo from the library. Instagram for Business Tip: Choose an image that best represents your brand or products and services. It could be a logo, or image of yourself is you are a solopreneur. This is if you want to get more people following you right away. Making it grow organically takes time and a LOT of work, and time. Share settings: connect to other social media platforms. This is one way for you to give your photo extra exposure. Personally whether this is best for you or not, I’d say, test it. This is where you can edit your profile, change the password, see all the photos you’ve liked, and set up account profile either as private or public. Instagram for Business Tip: Set up an open profile for your business, not a private profile. That is unless, you have a company that you do not want the public to see. Also, do not buy followers. Never! Link (un-link) Instagram to other social media profiles. This is so you can automatically cross-post photo, notification settings, whether you want to save original photos and whether you want a video to preload without or only on wi-fi. Instagram for Business Tip: I highly recommend that you take the time explore this once you get settled in on Instagram. Check “Basics,” scroll down and tap “Instagram for Business.” It has tips for companies. Very helpful to get you started. Here you can report spam or abuse if something doesn’t work, or send feedback. Ads: General idea about how users may handle any ad they see. Stay on top of what’s happening. Also, you can read about featured Instagrammers and learn from them as well. Decide on whether you would use your name or your company name. What you choose becomes your Instagram URL, like this: www.instagram.com/[yourinstagram_username], which you can put on your business card or share on social media. Instagram for Business Tip: Keep your @username short. 2-3 words are optimal. You wouldn’t want a long URL on your business card. The number you see in this example pertains to the number of images already posted. When tapped, it takes you down to your image gallery. Instagram Tip for Business: Would be a good idea to regularly check who already followed you and who you want to follow back. Listed in here is everyone that you followed. Instagram for Business Tip: When following your competitor, you can check out people they are following, and the hashtags they are using by using the search future. This is one of the most important real estate of your account. It is your “Instagram business card.” If filled out this makes it easier for those checking you out to follow you – or not. Also, this is the only section of your Instagram account where a URL is clickable. Instagram for Business Tip: You only have 150 characters for your profile. Be clear with information that you are sharing about who you are and what you do as a company. Don’t leave this blank! Image view options, either as tiled gallery or in one column, one at a time. Turn this on if you want to add location to images that you post. Instagram for Business Tip: All photos that you geo-tag will show in a map. If you are a brick and mortar store, I’d recommend that you include location when posting image about your product or service. Location is a great tool for brand exposure, and for your clients to find your business. If you’re looking for images that a customer tagged you in, this is where to find them. This is an array of your images with a tiled view option as shown in #8 as an example. You may tap an image to see it by itself and to see who liked it and left a comment. 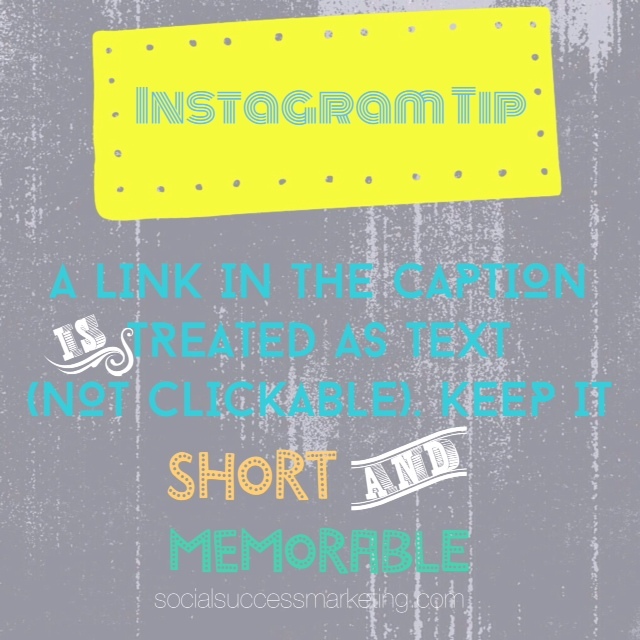 Instagram Tip for Business: If you are a business, do not leave the caption blank! Make the caption relevant to the image and your brand. If possible, include a CTA. This is the news feed. When tapped it will show you a gallery of images that people posted. Type text: This is the firs option that you’ll see. You can type text, then have the option to search current users and hashtags. Search by photos & people: These are people and photos that Instagram algorithm pulls out based on your preferences and activities. Instagram for Business Tip: You can use this to search for leads, influencers and hashtags. 15-a) You can tap “X” if you want to close the screen, like when closing a tab (or window) when using a computer. 15-b) When tapped, the vertical and horizontal lines called the “rule of thirds” appear. The rule of thirds is a principle that professional photographers keep in mind when taking photo. Tapping this on Instagram to show, when taking a photo, sure is very handy. 15-d) You tap this if you like to use photos or videos from your device’s photo library. 15-e) This blue icon becomes the camera shutter when tapped. 15-f) If you like to take and post a video, this is what you should tap. Note: the blue icon, turns red, when you’re in video mode. Do you want to see who left a comment, liked a photo and who followed you? This is where to find them. It is the equivalent of “Activity” for Facebook Business Pages. When tapped, the button takes you back to your profile. Ready to setup Instagram for business now? Did I miss anything? P.S. I’m at https://instagram.com/rubyrusine/ if you would like to connect with me there.